Imagine that you are looking at Earth from the International Space Station. What would do you see? What would impress you? Are there differences in how a man or a woman would look at our planet? To date, 11 German men have described this view. But how does our home planet look through the eyes of a female German astronaut? How does the female body behave in weightlessness? What are the qualification tests for women to qualify as an astronaut, and what basic training and / or characteristics should they bring with them? What draws women into space? This is what we want to know and we need your support. A particularly important task of the “The First Female German Astronaut” foundation is to spark interest in science and technology among women and young girls. We will serve as a role model. We will show which exciting workspaces where women can work if they are inspired by technology. We will clearly seek the educational policy objective of promoting more women in technical professions in Germany. Our mothership Earth needs not just half, but all it’s strength to develop our society and preserve our natural resources. This is especially true for a country like Germany, whose natural resources are not gold or oil, but the intelligence, enthusiasm, pioneering spirit and motivation of its men and women. Germany is a leading technology nation in Europe. Germany trains both women and men equally. Germany is aware that in the future we will need more women in technical professions. Why then shouldn’t Germany take a European pioneering role in space travel and finally send a woman into space? We do not want to wait another decade until the first female German astronaut flies into space. That is why we will put an unmistakable sign in which, in the first step, we finance the selection and the training of two female German astronauts through professional sponsoring. The implementation of the mission will be negotiated directly with the Russian Space Agency. The financing is realized through a targeted and carefully selected professional sponsoring program. The search for the first female German astronaut began in March 2016 with a large-scale media campaign. Mission planning, sponsors’ and crowdfunding was completed by autumn of 2016. Start of training was scheduled for 2017. The “Ticket to Space” has already been reserved. The German public will witness the entire spectrum: from the applications, the selection, the training and, of course, the mission and the evaluation of the results. A special focus of this public relations work is to open up girls’ and women’s eyes to the career options in the technical field and to inspire them in the STEM (Science, Technology, Engineering and Mathematics) areas. 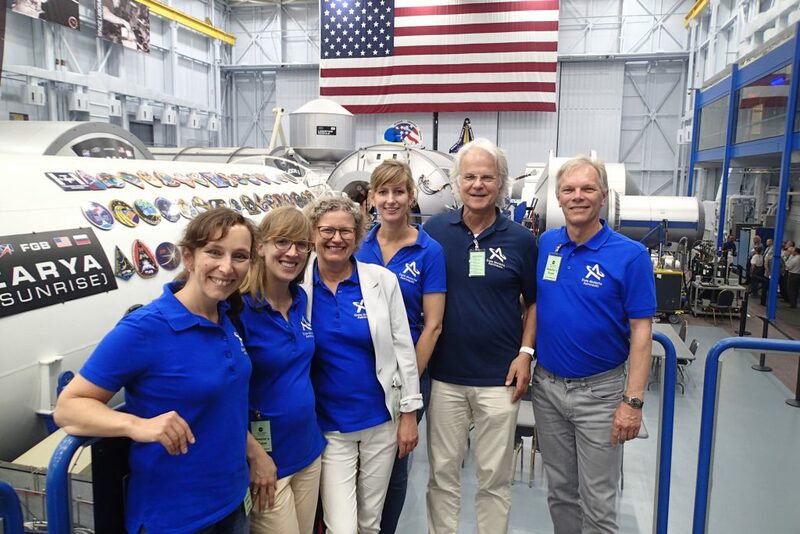 DLR supports the project of training a female German astronaut and sending her on a space mission. 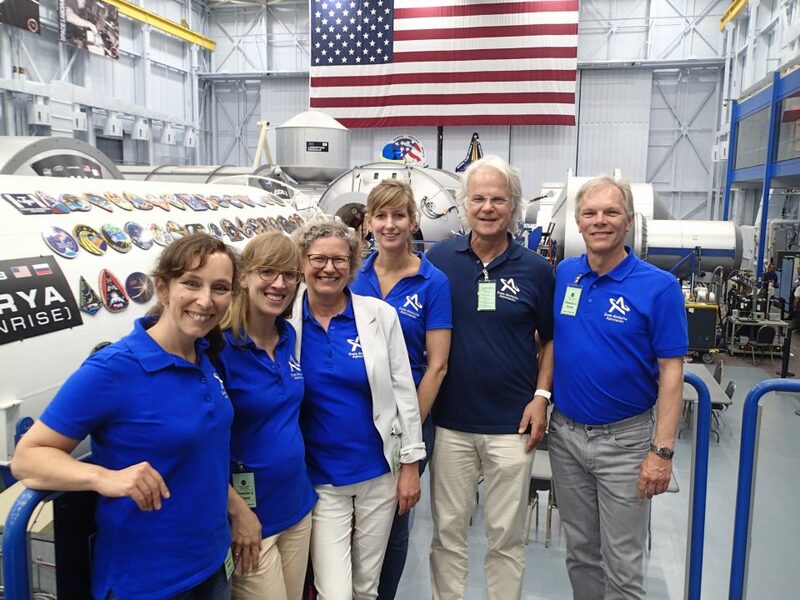 This can will only make space travel more popular in Germany, but also strengthen the choice of science-oriented curricula for the training of urgently needed specialists, specially among women. Support the mission of The First Female German Astronaut (a limited non-profit company) and set a sign for the future. Because our space ship needs everyone’s help: on Earth as well as in space.